What one Vietnam War battle, celebrated by the press and the military as a turning point towards an inevitable American victory, says about certainty and authoritativeness. Editor’s Note: Editor’s Note: This is part of The Atlantic’s ongoing series looking back at 1968. All past articles and reader correspondence are collected here. New material will be added to that page through the end of 2018. The Battle of Khe Sanh began 50 years ago this week when roughly 20,000 North Vietnamese troops surrounded an isolated combat base held by roughly 5,500 Marines. The marines could not be reinforced or resupplied except by air, and the enemy had attacked during monsoon season, when the weather would limit flights. General William Westmoreland, commander of U.S. forces in Vietnam, ordered them to fight to hold the base rather than evacuate. 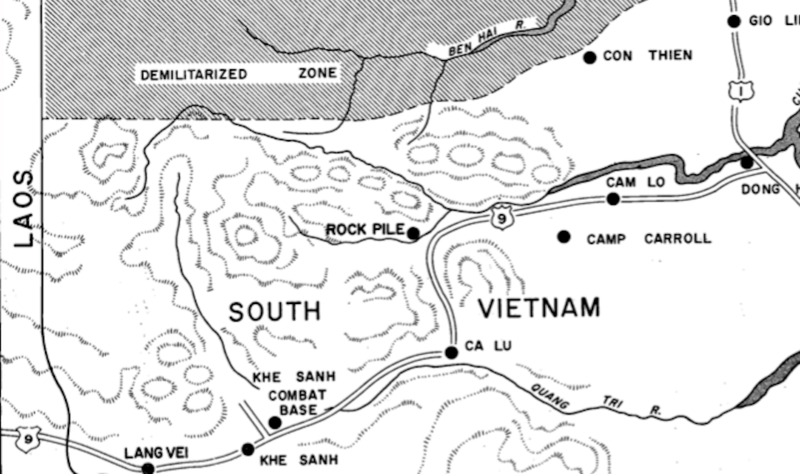 The North Vietnamese hoped to repeat the sort of victory won years earlier at Dien Bien Phu, when similarly besieged French forces were overrun and slaughtered.